TBS is continuing its ongoing efforts to get Americans to think of competitive video gaming as an actual sport, and not just that thing their nephew won’t shut up about at Thanksgiving. 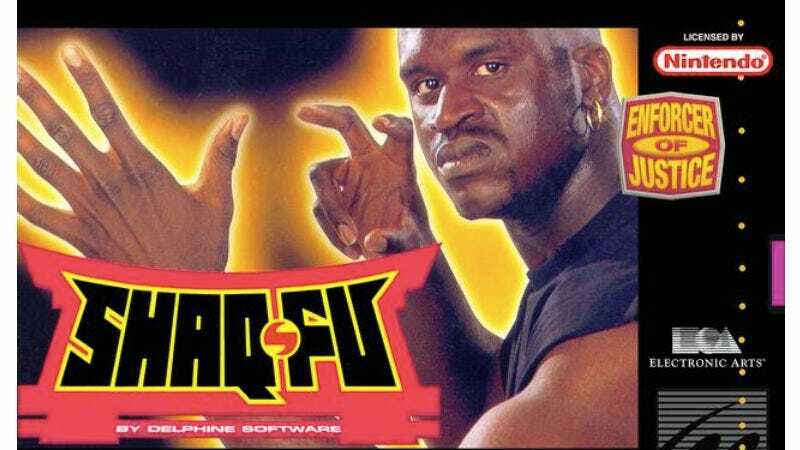 To that end, the network has recruited certified sportsman, video game fan, and Shaq Fu master Shaquille O’Neal to play in an upcoming celebrity esports tournament, based around Street Fighter V.
The eLeague Street Fighter V Invitational Celebrity Showdown will see Shaq face off against rapper Lupe Fiasco, NFL running back Reggie Bush, and WWE Superstar Natalie Eva Marie in a test to see whose hadoken beats whose. TBS has been running its eLeague program—focused on Counter Strike: Go—for two seasons now, but rarely with this sort of celebrity clout. The one-off special will air on TBS on April 28, with all four players competing for a $45,000 pot that’ll be donated to charity.